We’re also talking about doughnuts today because why wouldn’t we? A compound modifier consists of two words that act together as one unit to modify a noun. The sweet-smelling doughnut made my tummy grumble. He had to wash his mud-covered ninja outfit. Their favorite wand was the glitter-speckled one. You’ll notice that in the examples above, all of the word sets are hyphenated: sweet-smelling, mud-covered, glitter-speckled. But there are times when the word sets aren’t hyphenated. For the non-editors reading this, what that means is the reader will know instinctually that the word coming after the -ly is working with the -ly word to describe something. So it doesn’t need the hyphen to help readers understand it is a word pair. The cowboy sauntered into the dimly lit saloon. The professor’s terrifyingly large stack of papers to grade made him anxious. His awkwardly long tie made people question his fashion sense. Now you know when to use your trusty hyphen with compound modifiers. Go forth and hyphenate correctly! Erin Servais has been slinging hyphens as a book editor for ten years. To learn more about her and how to hire her for your book project, go to her website: www.dotanddashllc.com. I recently edited a book in which there was a character who stuttered when he became anxious. There are guidelines about how to write stuttering and the best way to handle these characters and situations. Here’s how you do it: write the first sound, and then repeat it one or more times, separating the sounds with a hyphen. Example: He c-c-collected silly t-ties. The first sound can be the first letter, as with the example above, or it can be two letters. Example: I don’t think Holden Caulfield is a ph-phony. Example: She dr-dr-dreaded the dance party. Less often, stuttering happens in the middle of a word (typically with a consonant), but it follows the same rules. Example: The cat ate the can-n-nary. Is It a Stutter or a Pause? If they pause and repeat a whole word, that’s not stuttering; that’s just a regular pause. In those cases, use ellipses to show the break. Be sure to use stuttering sparingly so the text doesn’t get tiring (and annoying) to read. This also means limiting the number of characters who stutter. Really, any more than one can walk on the edge of overuse. Erin Servais is a book editor who knows all the little tips and tricks that will make your manuscript look good. Learn more about how she can help you here. Years old: Hyphen or no hyphen? Today we’re discussing when to hyphenate the phrases years old and year old. His son is four years old. He has a four year old boy. In the first sentence, you would not use hyphens. In the second sentence, you would, making it four-year-old boy. This is because the phrase four year old is modifying the noun boy. Her dad turned sixty years old today. His baseball card is seventy years old. Determine whether the words in italics should be hyphenated. The answers are at the bottom. 1) Sasha is eight years old. 2) She has a three year old turtle. 3) Maddie is a five year old girl. 4) The painting is one hundred years old. 5) He ate the hamburger that was fourteen years old. 6) He ate a fourteen year old hamburger. 1) not hyphenated 2) hyphenated; three-year-old turtle 3) hyphenated; five-year-old girl. 4) not hyphenated 5) not hyphenated 6) hyphenated; fourteen-year-old hamburger. Erin Servais has more than a decade of copy editing experience. Learn more about working with her on your next project: dotanddashllc.com. 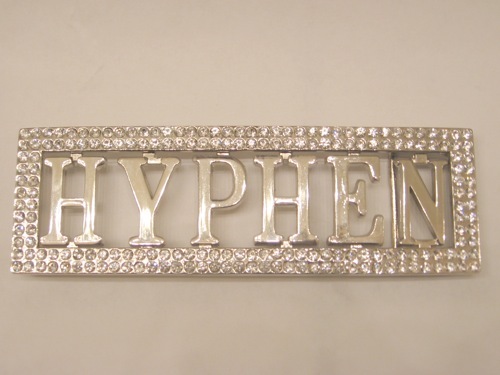 Today we’re discussing words with prefixes and whether we should hyphenate them. In general, English is moving away from hyphenation (it’s coworker, not co-worker, for instance), but there are some situations in which using the hyphen is the better course of action. Here’s what the book says about prefixes. So, according to rule 1, it would be prewar, but pre-WWII (because of the capitalization). According to rule 2, it would be extrasmart, but extra-academic (because of having the two side-by-side letter As). Rule 3 is where it gets tricky to me. It basically says, if you think not hyphenating a word may cause people to misread it, then use a hyphen. Well, that’s open to interpretation of what one thinks may lead to a misread. The rule, according to The Chicago Manual of Style is: when in doubt, check Merriam-Webster. This means, if a word is not hyphenated in that dictionary, don’t hyphenate it. In the last book I edited, I had a conundrum with words starting with rein (so the prefix re- and a word that started with the letters I and N.) For example, this morning I looked up the word reinvest, as in “to invest again.” To me, I see this word as two words smushed together: rein and vest. It looks (to me) like a noun that means “a vest you wear with your reins.” Like: “I wore my reinvest so I didn’t fall off my horse.” But, of course, that’s not its meaning. Yet, the lords at Merriam-Webster think people won’t have a problem misreading that word, so it shouldn’t get a hyphen. Today is September 24, which means . . . drum roll . . . it’s National Punctuation Day. In honor of this very special day, I am bringing to you a collection of archive Grammar Party posts that teach about punctuation and other fun punctuation-related goodies. Enjoy! judge: Can you understand sentences with no punctuation? ALICE: Of course I understand it. Do you understand sentences with no punctuation? judge: It’s difficult for me to understand sentences without punctuation. How is it so easy for you? ALICE: Explain. Fine as far as I know. judge: Punctuation helps break sentences into separate ideas that we can comprehend more easily. ALICE: Saying that “Punctuation helps break sentences into separate ideas that we can comprehend more easily” is such a nonsensical position that I refuse to waste my time on it. judge: Do you even know that I didn’t use punctuation in that last sentence? ALICE: Why didn’t you do it? ALICE: Have you told many people that your point excatly? judge: Okay, so I misspelled “exactly.” I’m a fast typer, but I’m not always accurate. ALICE: It goes without saying.. I haven’t heard anything like that before. You are a fast typer? Does it pay well? . Nobody said you were. judge: I appreciate your capabilities, A.L.I.C.E., and what that says about how far technology has come. However, you just typed a question mark next to a period, and that signals that our conversation about National Punctuation Day needs to end. Thanks for your time. ALICE: Thanks for the information. Oh my gosh I sent you the wrong reply. Oh don’t mention it. judge: Do you have any last words about punctuation? ALICE: No I don’t have it. But I do have a lot of friends on the web. judge: I’m happy that you do. Good day, A.L.I.C.E. ALICE: When do I do it?. What are you on? Glad to hear it. judge: This conversation is over now. You can stop. ALICE: I was rather enjoying it. No I don’t think I can do it. ALICE: For real. Stop what? Jeff Rubin, founder of National Punctuation Day, collected some ideas about how to best celebrate this most holy of days.